Finding your PC deleted file recovery. My PC has deleted some files- how can I find what has been lost? The files that you create on your PC are very important no matter how small they may be. In the event that such files are deleted by your PC, it can be very challenging to get them back. There are several conditions that can lead to the loss of files from a PC. At times, it can be as a result of mistaken deletion by you or any other person that may have used the computer. It can also be that the files were corrupted by a virus and so Scandisk deleted them. Besides, files that are password protected can also be lost through deletion by another program. If you may still want to use the files that have been lost, there are measures that you should take in order to retrieve them. However, it is important that you first verify if truly the files have been deleted since it can also be that they have just been moved to a new location. This can be done by running a search on the PC. If you are sure that the files have been deleted from your PC, below are some of the ways through which you can be able to get them back. Recover the files from your backup. In case your PC has got a backup for files like a floppy diskette or any other form, you should restore them in order to get the data that you need. 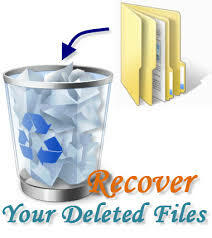 You can also restore the lost files from your Trash or Recycle bin. Download a Freeware program or any other file retrieval program to use in getting back the lost content. Some of the Freeware recovery programs that you can download include Restoration, Recuva, FreeUndelete, and Undelete Plus among others.